Peritoneoscope, or laparoscopy of the liver represents an informative method of diagnostics of pathologies of the hepatobiliary system. It is assigned in the case when non-invasive methods prove to be insufficient to obtain the desired amount of information for diagnosis. An important feature of this diagnostics is the ability to run in parallel, some manipulation is to do a biopsy or to stop the bleeding. The recovery period from laparoscopic surgery is minimal and does not require prolonged hospitalisation. To date, these interventions are the most advanced method of diagnosis and treatment. Alternative methods do not provide such details to visualize internal organs, and often during laparoscopy detected heavy enough pathology with asymptomatic. The surgery is performed under General anesthesia, after the introduction in which the abdominal wall of the patient, the surgeon makes several small incisions or punctures. They are necessary for the introduction of the laparoscope. Before starting the inspection in the abdominal cavity is required to introduce carbon dioxide. It allows you to provide the most comfortable access to all the internal organs and to avoid accidental damage. Depending on the ultimate goal introduces several trocars through which access endoscope, video camera and lighting unit. In most cases, diagnostic laparoscopic surgery requires 3 cuts, but the need for additional manipulations may be required, 4th and even 5th. When the operation is completed the tools are extracted, the incisions sewn with a, and the patient is taken to intensive care. Laparoscopic diagnosis of the condition of the hepatobiliary system in most cases is carried out in a planned manner. This allows doctors to carefully prepare the patient for such surgery, and to minimize the number of complications. 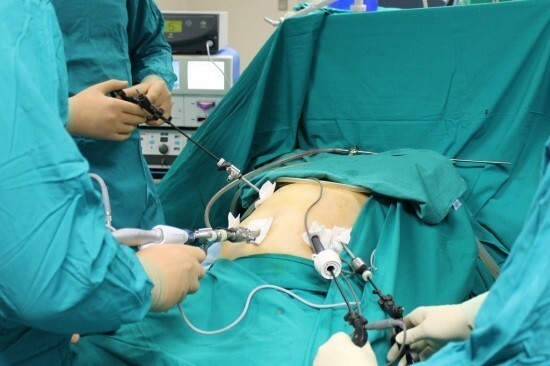 In more urgent situations a laparoscopy is performed in surgery and in the treatment room. Regardless of the venue, she allows the doctor can examine the internal organs and accurate diagnosis. Possible to recover quickly after laparoscopy makes sense for a few days before the surgery to organize your diet completely eliminate foods heavy to digest. Preferring light foods you can prepare the digestive system for laparoscopic diagnosis. Recovery from anesthesia takes about 3-4 hours, after that it is in the General ward. The length of hospitalization does not exceed 7-9 days. Generally, diagnostic laparoscopy is not accompanied by any complications such diagnostic technique developed at a high level. However, the first days the patient experiences pain, which is relieved by analgesics. After 3-4 days the pain goes away. The most unpleasant and common complication of laparoscopy is indigestion. As soon as possible to restore it required to consume plenty of pure non-carbonated water. In the first days after the intervention of the food should be light, preferable dairy products. Dyspepsia is largely related to the need for the introduction of carbon dioxide into the abdominal cavity. 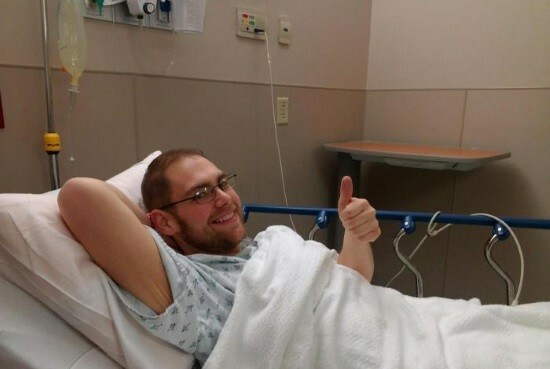 After surgery, he is pumped, but a small portion remains in the body. To hasten its excretion can be a feasible activity. To get out of bed already permitted on the day of surgery and often recommended. Walking and moderate physical activity contribute to the rapid removal of gas from the body. This will not only normalize the work of intestines, but also to stop pain.